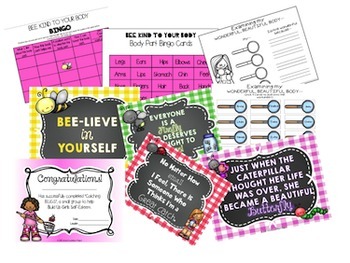 This activity packet is the perfect resource for helping young girls (2-6th) grade build self-esteem. 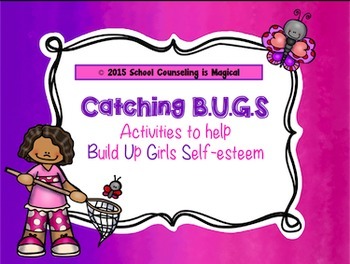 Girls will love C.A.T.C.Hing self esteem by learning the importance of 1) complimenting themselves, 2) appreciating their uniqueness, 3) talking back to negative thoughts, 4) catching themselves doing something good, and 5) honoring their body and the wonderful things it can do. 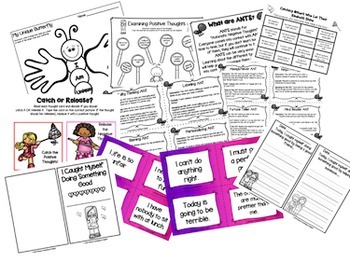 This resource includes LOTS of fun activities so that you have plenty of options for teaching self-esteem individually, in small groups, and/or classroom guidance. 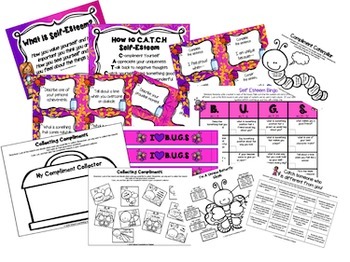 60 pages of activities!